The application informs citizens and visitors about recreation facilities and general Points of Interest (POIs) in a city. Each POI is presented through 360o panoramas, images and text. The users can also create new POIs or add content in an existing POI. An interactive community map is enhanced with the superposition of points of interest such as: public buildings, monuments, parks etc. Through the application local government agencies enable citizens to share and promote the places that make their city unique. Sharing what’s great about the city in an easily accessible and visually compelling way will drive more residents to shop downtown, more visitors to explore the city and will make local businesses happy. 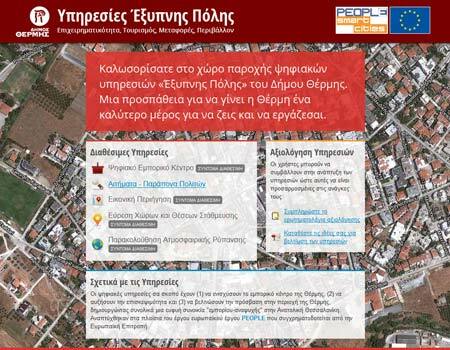 The application has been developed within the European Project PEOPLE, in close cooperation with the Municipality of Thermi and user groups. It is therefore a truly user-centered digital application, adapted to the needs Municipalities and local communities. Moreover, the source code of the application is available free as open source software. The POIs (places) are displayed on the city’s map. Each category is presented with a different icon. 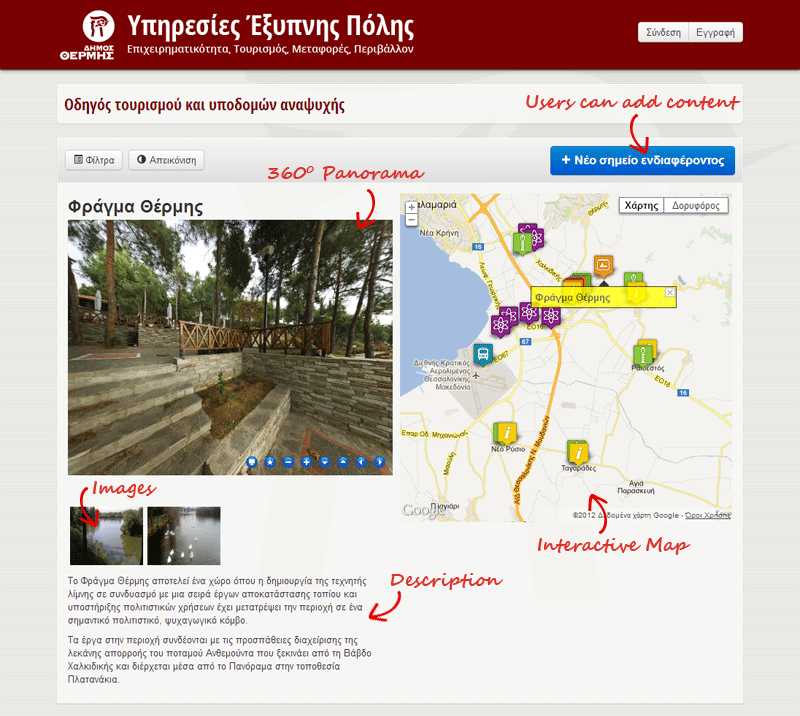 The users can click on an icon in the map to discover more info. Users can view only the places that belong to specific categories. They can also sort the places by date of submission and popularity. The administrator manages the entries through a web form which presents all the available information. Users are able to determine the exact location of a new place on the map, while they can also attach relevant photos. Moreover, users are able to upload new photos for an existing place. Users can make comments on existing cases. They can also mark a place as favourite. Citizens' comments allow City Officials to have an overview of the discussions about the city’s recreational facilities. The application has been developed within the European Project PEOPLE. It is distributed for free, under AGPL v3 open source license. Anyone who wishes can download it from the GitHub website or participate in application’s improvement. For any issue related to the use or installation of the application please contact with URENIO Research. Alternatively visit any of the sites in the adjacent columns. In the framework of European project "PEOPLE: Pilot smart urban Ecosystems leveraging Open innovation for Promoting and enabLing future E-services" are developed five e-services aiming (1) to strengthen the commercial center of Thermi, (2) to increase the number of visitors and (3) to facilitate access to the region of Thermi, creating thereby a smart commercial and recreational district in the Eastern Thessaloniki. 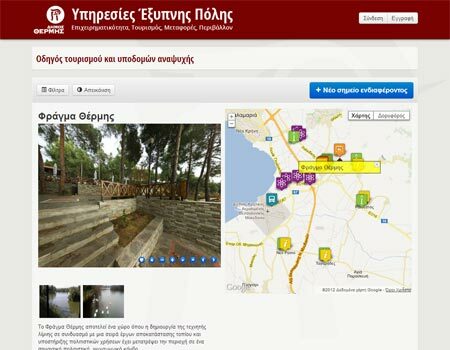 The application “Virtual City Tour” is the second service that entered in pilot operation, allowing people that live, work or visit Municipality of Thermi to be informed about recreation facilities and general Points of Interest (POIs). The users can also create new POIs or add content in an existing POI. The application is available as a Joomla extension. All you need is a Joomla! installation. The Smart City applications are developed within the project "PEOPLE: Pilot smart urban Ecosystems leveraging Open innovation for Promoting and enabling future E- services", which is partly funded by the European Commission.